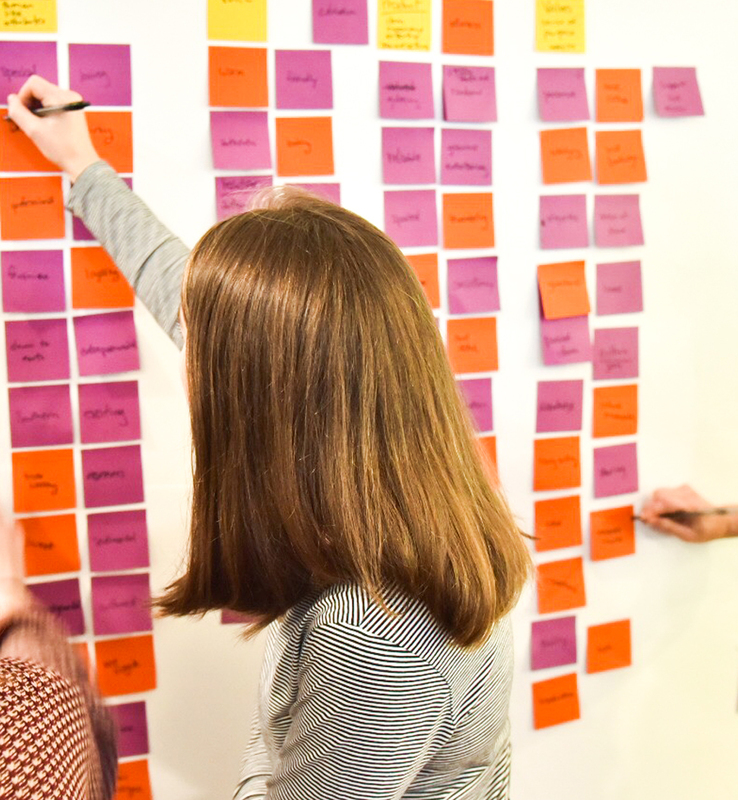 Our creative, strategy-based design thinking will elevate your organization, spark curiosity and connect you to ideas that will keep your organization moving forward. We lead you through brand strategy work before we ever get started on design – this means that design decisions map back to your goals and brand attributes. You are able to narrow your focus and streamline your decision-making process. Our promise to you is that working together we will build a stronger, long-lasting more valuable brand. This phase is about discovery, context and meaningful insights that come with deep understanding of where you are currently in order to uncover, refine and document project goals. With your team we uncover insights and create a cohesive, compelling brand story that’s worth sharing. We build a brand brief that includes core values, attributes, personality and voice. Your team will work alongside us during the Creative Discovery Lab to build a creative vision. Our work in this phase includes creating the visual identity which is made up of the logo, brand colors and typefaces. It also defines photography, video and illustration style. In this phase, we work with you to detail how your brand shows up in the world. We create and finalize your brand and style guidelines.